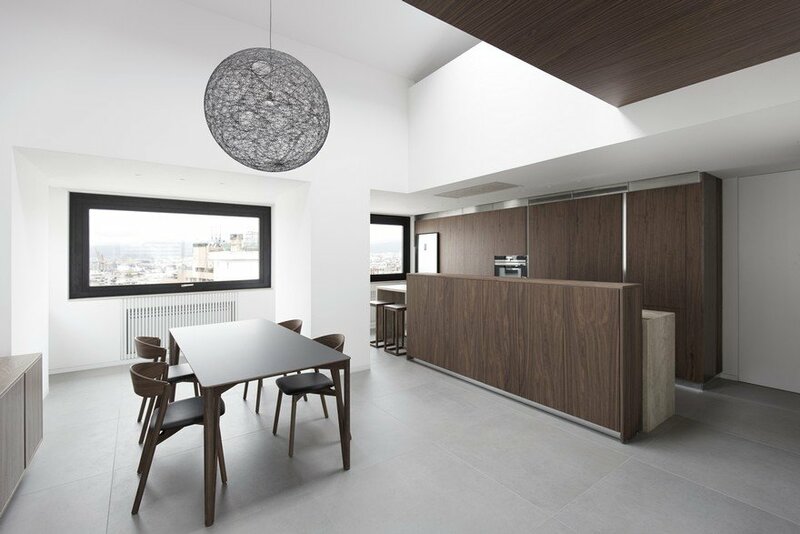 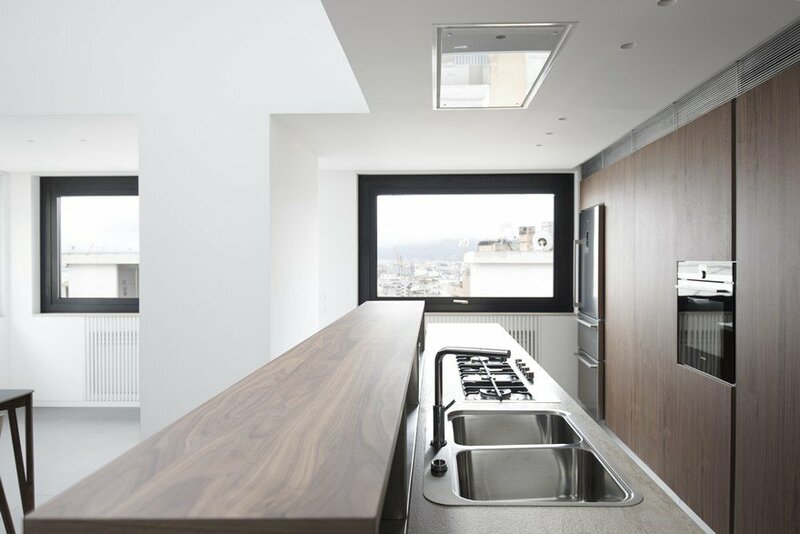 Studio DiDeA reconfigures a two levels penthouse in Palermo to create a luminous and spacious house, overlooking the city harbor. 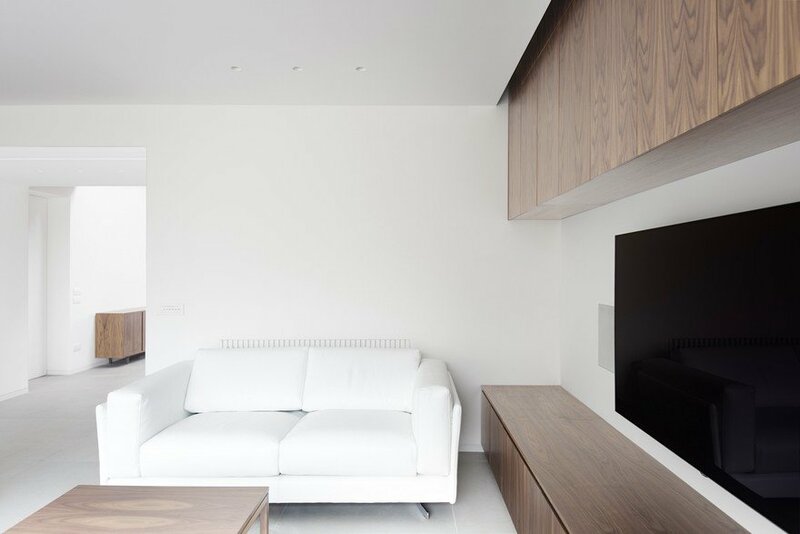 The 180 smq apartment is an articulate space where sunlight, an essential colour palette ,and space saving furniture define the project. 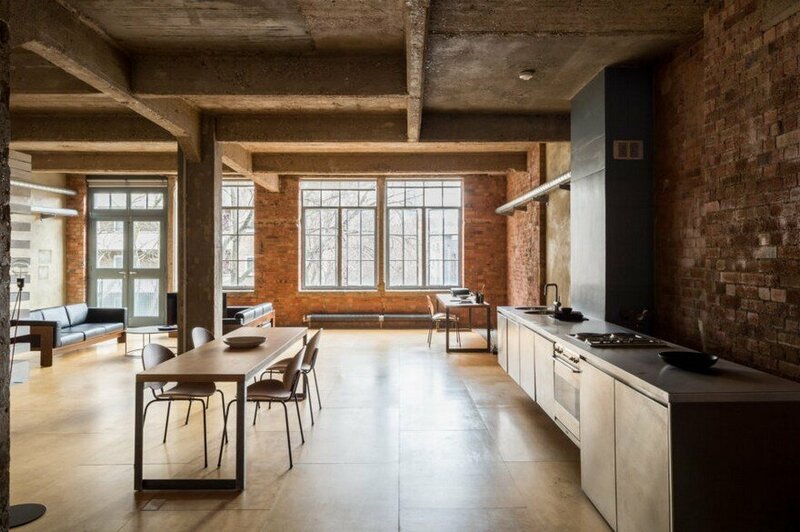 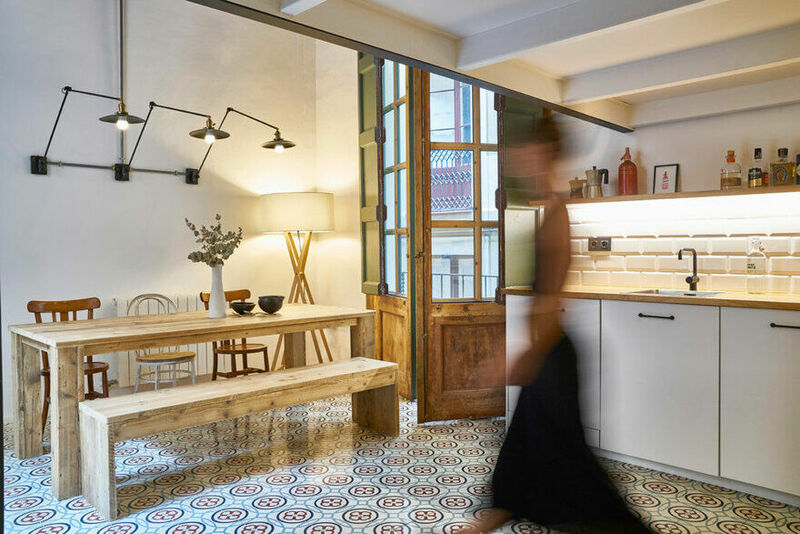 In the kitchen, bespoke wood furniture, a marbled countertop that becomes a small table for quick snack, a dining table and a kitchen cupboard delineate the room. 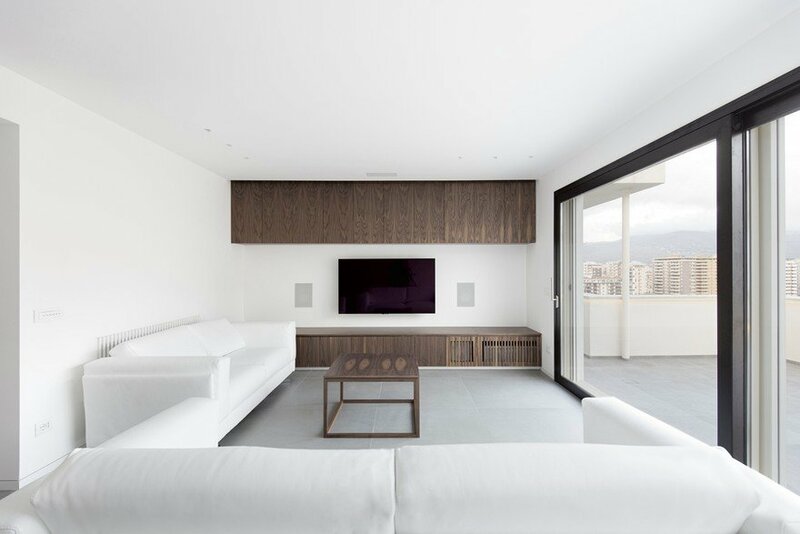 The living room is an essential space with white couches, a tv&stereo wood cabinet, and a panoramic view on the city. 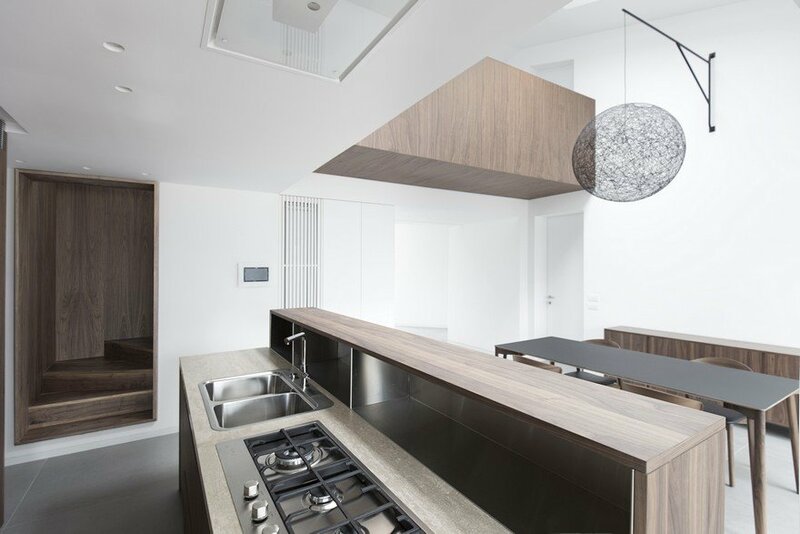 From the dining room, you can access the night area, composed by the master bedroom with bathroom, the second bathroom, a small laundry and a single room. 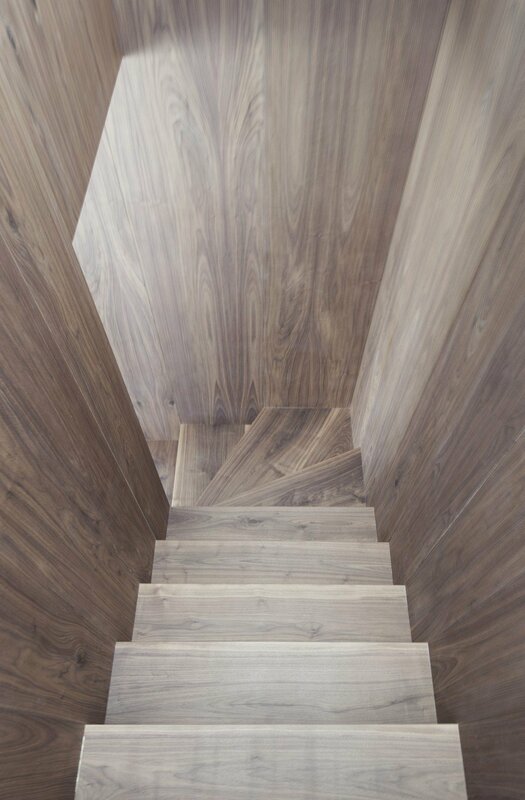 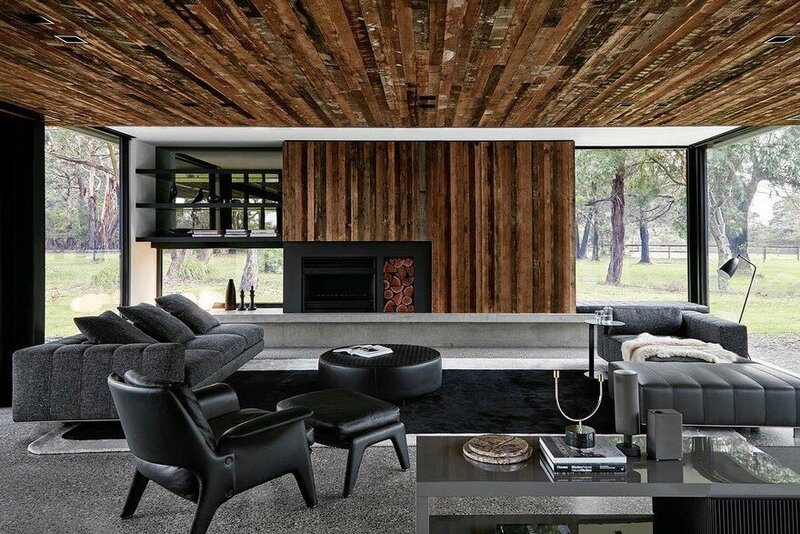 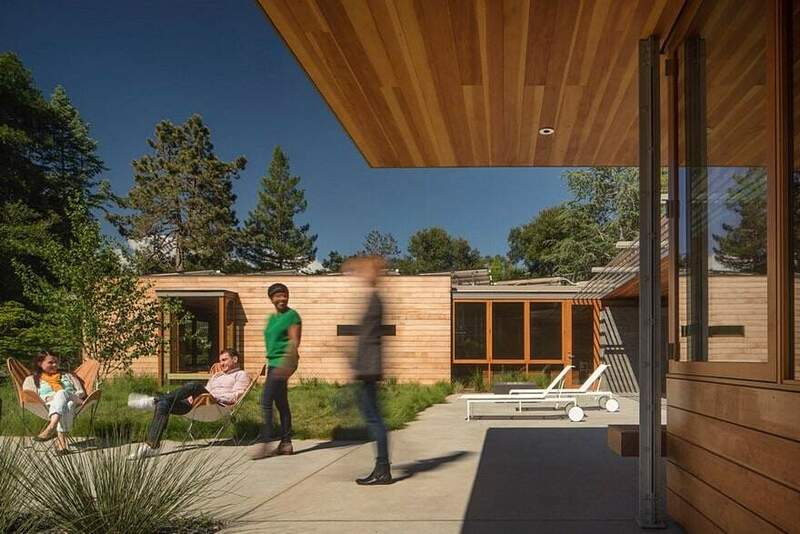 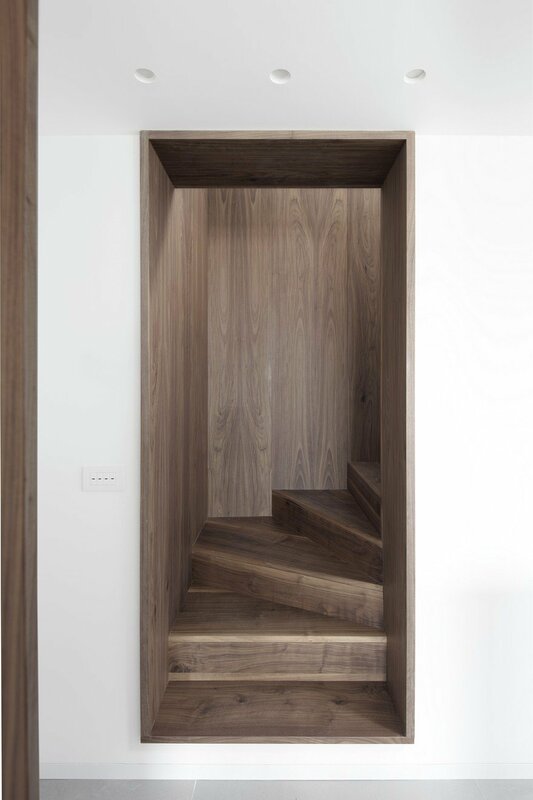 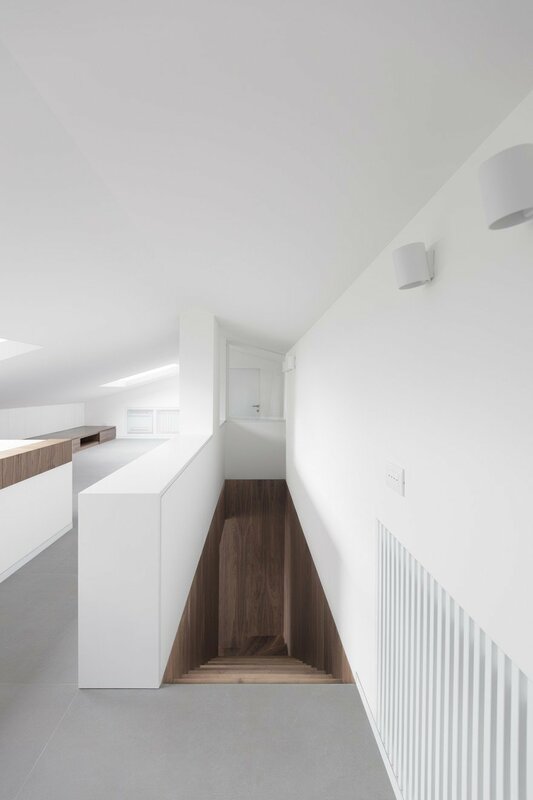 The wood-clad stair leading up to the second level appears as a distinct and tactile element that emerges as “a vertical bridge “ as DiDeA explains. 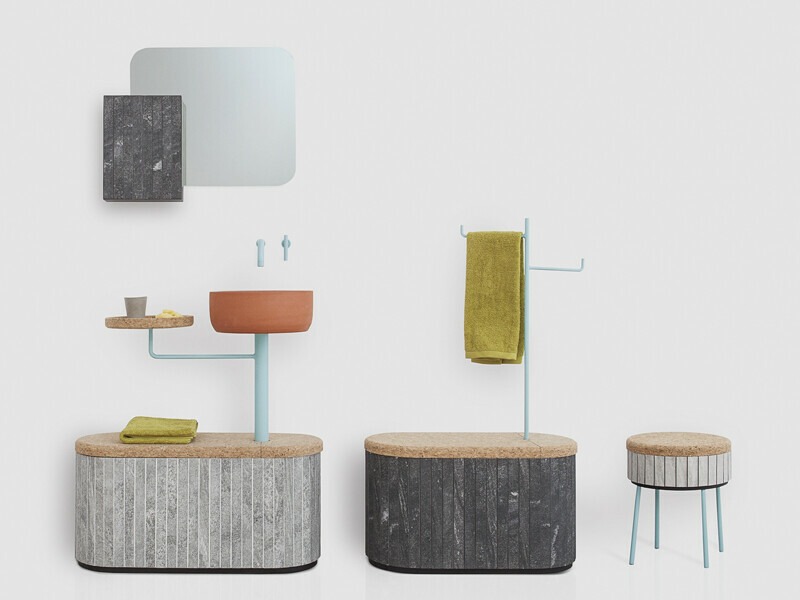 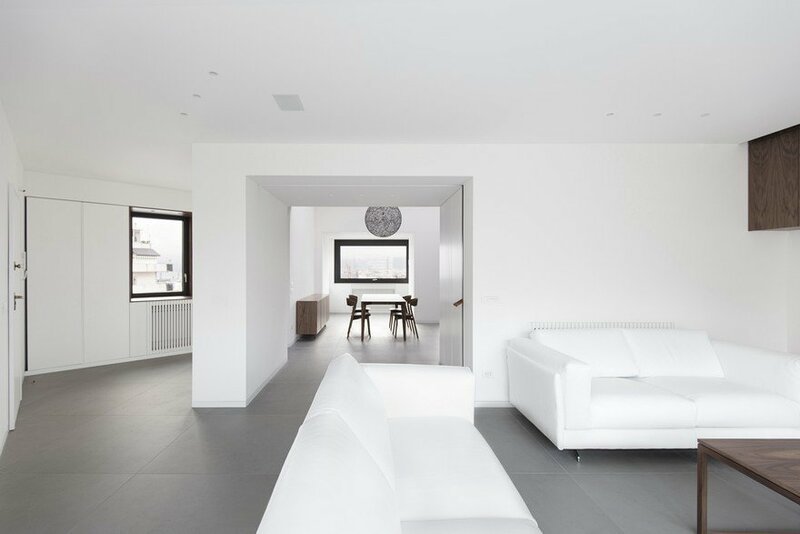 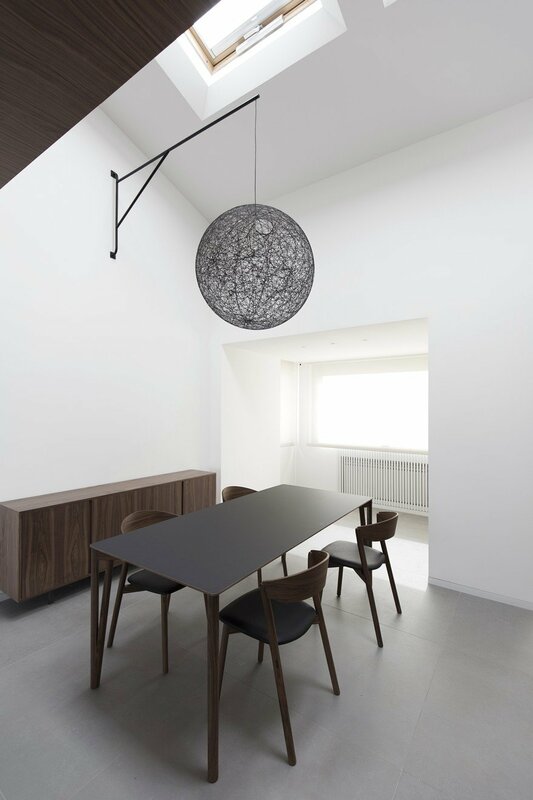 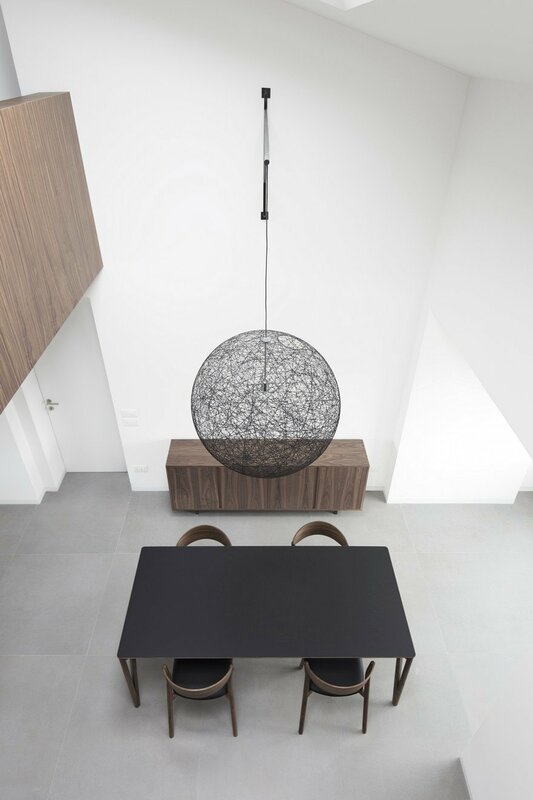 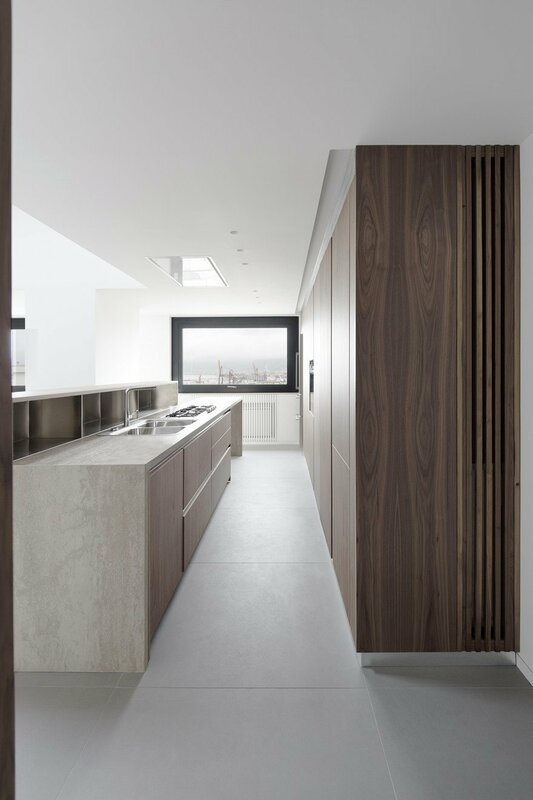 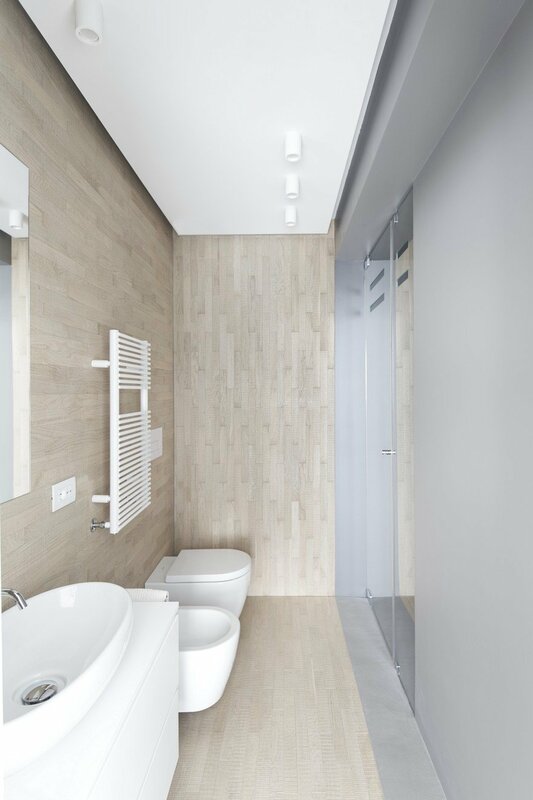 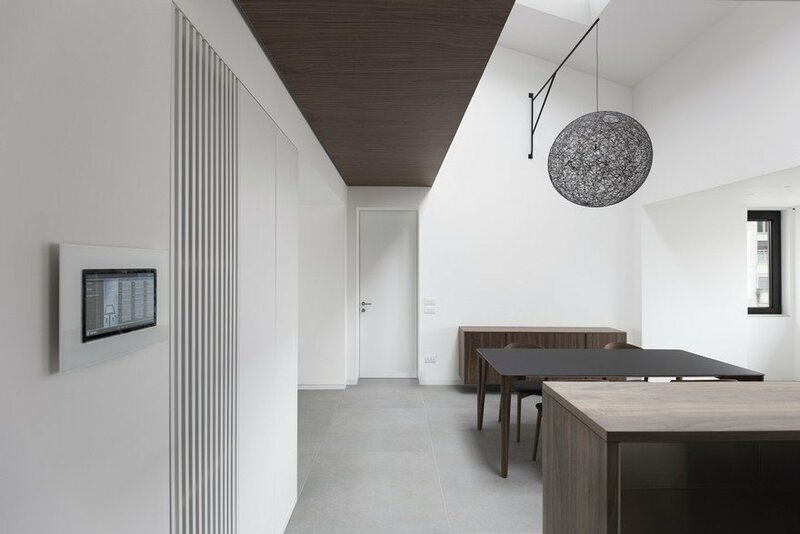 The choice of material confirms the essential design approach: warm grey gres tiles on the floors, total white for the walls and dark brown of the wood furnitures.